Due to the size, weight and speed involved in most truck accidents, the injuries sustained by motorists are often the most severe injuries we see in our practice. We have experience assisting those involved in truck accident injuries, but we prefer that these accidents don’t occur in the first place. Knowing why these accidents occur is the first step to prevention so we’ve put together the following list of the top 10 causes of truck accidents to help everybody on the road to better understand how to stay safe. In 2007, The Federal Motor Carrier Safety Administration (FMCSA) conducted a study to determine the top causes of truck accidents in the U.S. This was largely due to the rise in trucking accidents in recent years – as well as the severity of the injuries at issue. Truck accidents are often much more problematic and involve more serious injuries and consequences than other motor vehicle accidents. This unfortunate reality is due, in large part, to the sheer size of a truck in comparison to that of a car or motorcycle. Knowing the root causes of truck accidents can make you a better and more defensive driver. The NHTSA defines inadequate evasive action as “situations when drivers fail to execute a proper evasive maneuver by not using sufficient steering inputs, not braking appropriately, or a combination of insufficient steering and braking inputs.” An example would be failing to hit the brakes for stopped traffic. Due to the inertia generated by the weight and size of a truck, failing to take appropriate evasive action can lead to very serious rear end collisions. Many truck drivers report feeling boredom when on long stretches of highway. As such, often times truck drivers get distracted by either events outside of the truck, or something inside the truck. Whether it is eating, looking at an accident scene or using a cellular phone – the result can be a serious injury causing accident. Traffic laws exist – in large part – to keep us safe. However, with so many trucks and cars on the road, it is inevitable that illegal traffic maneuvers will occur. Due to the size of trucks, these maneuvers can cause serious injuries. Some common examples of illegal traffic maneuvers which can result in truck accidents include truck drivers traveling in the wrong direction on a roadway; truckers turning from the wrong lane; truckers making U-turns in prohibited areas or turning in prohibited areas; and illegal passing. If a truck driver’s actions were a violation of your state’s traffic safety statutes, evidence of the violation may create a presumption that the truck driver was negligent. If a victim of a truck accident pursues a legal claim for compensation for accident losses, victims generally must prove negligence was the direct cause of the collision and resulting damages. The presumption of negligence can make it easier to meet the burden of proof. For over the road truckers – driving long stretches at one time is not just the job description, but it is often the difference between meeting a deadline or not. Many trucking companies push their drivers to drive longer and farther between stops. While federal law seeks to limit the amount of time a driver can operate a truck in one trip, many drivers skirt the law in an effort to increase profitability. This type of behavior can lead to decreased reaction time, lack of attentiveness and avoidable mistakes that can cost people their lives. Ever look at the back of the truck and see the “blind spot” warning? This warning is there because improper surveillance of the area and other vehicles is a leading cause of death or serious injury in truck accidents. Almost all drugs that cause drowsiness or fatigue have a warning on the label warning people about the potential dangers of operating a motor vehicle under their influence. Despite this, too often, people don’t heed this warning and get behind the wheel while under their influence. The consequences of using these drugs while driving a truck is amplified due to the size and weight – making it that much more reckless. 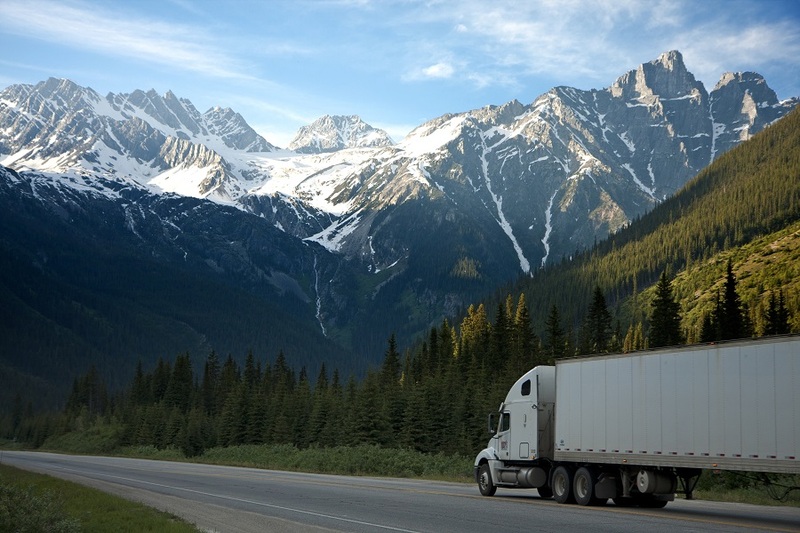 It’s not hard to imagine that driving in unfamiliar locations as often as truckers do can get confusing incredibly quickly. Also – with a patchwork of State driving customs – lack of familiarity with a specific area can and does lead to tragic consequences. Trucks are hard to stop, especially when carrying a heavy load. Therefore, driving too fast can have fatal and tragic consequences. Many highways and roads have different speed limits for cars and trucks for this very reason – because lawmakers know that a truck moving at a high rate of speed can become an instrument of destruction in an instant. Due to their stressful schedules, long hours, and cramped quarters, many truck drivers turn to sleep aids and drugs to cope. Rather than jeopardizing their jobs by complaining or having a doctor tell them that they can no longer drive long distances, they turn to pills. Whether to combat fatigue, fight pain or due to addiction – the consequences of impairment can have serious and lifelong effects on others on the road. Based on the findings of this study, truck driving accidents are overwhelmingly the result of inefficient attention to the road and driving conditions, as well as driving impairment in some form or another. If you or a loved one have been injured in a truck accident, it is imperative that you contact a truck accident attorney to represent you and secure the compensation you deserve, before it is too late! 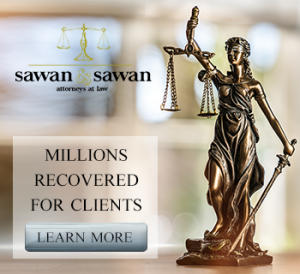 If you have been involved in a truck driving accident, contact the family of lawyers at Sawan & Sawan today to set up a consultation for your case. Our team is exceptionally skilled at analyzing the facts of the case and determining all liable parties in the accident to get the results our clients deserve. Call Sawan & Sawan today at 419-900-0955.